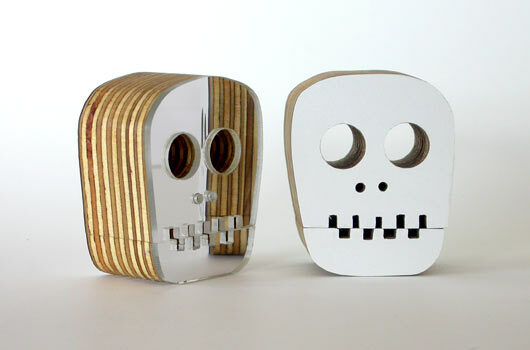 The staple item of the Flagship range, no two skulls are ever the same. Finished with mirror and white laminex or red and yellow acrylic surfaces, the skull features a detachable jaw for mixing and matching. Give the skeletons in your closet some company with Flagship skull or make a perfect pair with the Flagship Crossbones.